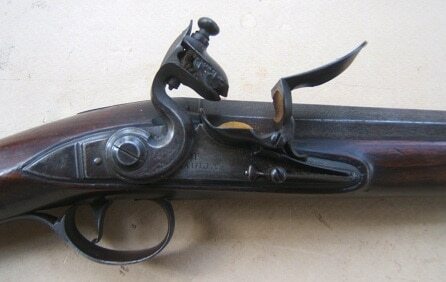 The M1766 French Pattern (sometimes referred to as a “Light Model 1763”) is a .69 caliber, smoothbore, flintlock musket. It is commonly referred to as the Charleville musket, named such after the armory in Charleville-Mezieres, Ardennes, France. It measures about 60 inches long and weighs about 10 pounds with a production volume of about 140,000 units. 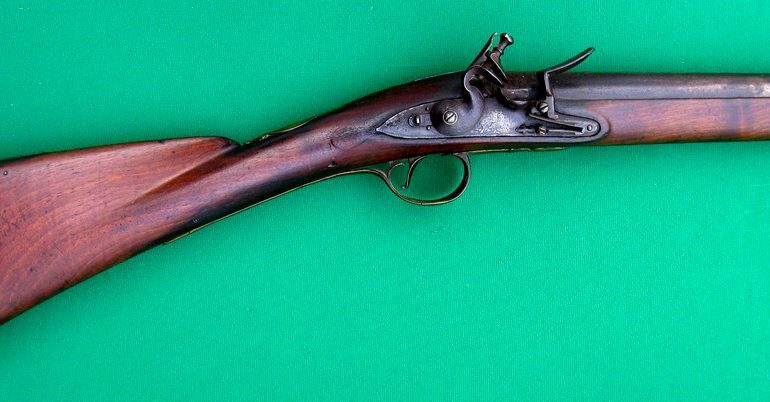 After trying a heavier design for the M1763, the M1766 became lighter with a thinned barrel and other adjusted parts.